The 10-Year Charter Anniversary of DC Gamma is both a milestone and an opportunity — a chance to celebrate what we’ve achieved together and to lay a foundation for another decade of success in building Balanced Men. In honor of our 10 year anniversary, we’ve set a goal of raising $10,000 to support various areas of need. Make your gift today to help us meet our goal. With your generosity, we know we can make the next 10 years even better than the first. In order for us to recruit the best men Georgetown has to offer, provide the best experience possible to brothers once they’re admitted, and to make a positive impact on the Georgetown community, we need your help. We invite you to give to the area or areas of the fraternity that meant the most to you during your time at Georgetown. Important areas of need for each department as identified by the chapter are described below. Venmo: Send funds to @DCGamma10Year. Paypal: Click here. Send money to dcgamma10year@gmail.com. For both Venmo and Paypal: If you have an area of choice you’d like to direct your gift toward, you can indicate that in the comment. If no preference is indicated, chapter leadership and the AVC will direct your gift where it’s needed most. Communications – Sigma Birthright: One of the core functions of communications is ensuring our chapter knows where we came from and is connected to the broader, national SigEp organization. Achieving this fundraising target will fund a day trip for the new Sigma class(es) to Zollinger House at the University of Richmond to see where our brotherhood began, and to begin building relationships with Nationals from their earliest days in DC Gamma. Finance – Brotherly Love Scholarship: An unfortunate reality throughout SigEp’s history is that while we seek out the best men on campus, we lose men every semester who are unable to afford the rising costs of dues at $500/semester. Achieving this fundraising target will create an AVC-administered scholarship endowment that will allow brothers to apply for subsidized dues support. Philanthropy – Relay for Life Events Fund: In 2016, the chapter was not only the #1 fundraising team on campus, but the #13 fundraising team across all national Relays. Achieving this fundraising target will allow the chapter to build on this success in 2017 by hosting low-cost fundraising events and initiatives like selling food and goods at the front gates, raffle prizes, and more. 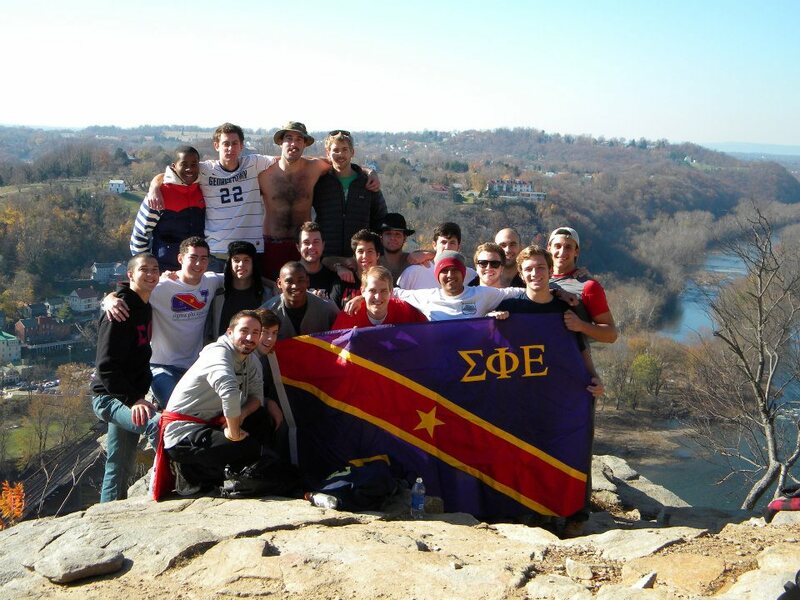 Programming – SigEp DC SAC Fund: From your undergraduate days, you may remember that 1) the chapter doesn’t receive any funding support from the Student Activities Committee, and 2) no one ever spends enough time exploring DC outside of the Georgetown bubble. Achieving this fundraising target will allow the chapter to budget and plan additional events around the city including sporting events, museum tours, and more. Recruitment – Welcome Back BBQ: Every fall, the chapter kicks off the school year with a cookout hosted on the front lawn to generate buzz among potential recruits; over 75% of this fall’s Sigma class first met the chapter at the BBQ. Achieving this fundraising target will allow the chapter to expand the event and fund it in a sustainable manner, as dues collection to cover costs is limited in the first few days back on campus. Standards – Ritual Equipment: Rising chapter membership necessitates more Phi, Epsilon, and Brother Mentor Rituals for larger classes. Achieving this fundraising target will allow the chapter to buy an additional set of ritual equipment in order to set up two rooms at once and avoid 8-hour ritual days. Please see information below about how to donate to the Retreat Fund to address the greatest area of need for Member Development. You make a gift to our Retreat Fund through SigEp Foundation, and our chapter withdraws funds from it each semester to support retreat. We will be donating a percentage of all funds raised here to the Jeff Leach Memorial Fund. If you have any questions about the fund or would like to include a personal message to Jeff’s family alongside your donation, please contact Jeff Wray and Rick Goode. All gifts are appreciated, and we invite you to give as you are able. Giving Levels are listed below. All donors will be recognized at Saturday’s banquet. Red Level and higher donors will go home with commemorative 10th Anniversary swag. Some opportunities (like the Retreat Fund) comprise tax-deductible donations to a fund managed by the SigEp National Education Foundation; others (“Targeted Areas of Need) will be directed to the Alumni & Volunteer Corporation (AVC) savings account for management, with the chapter submitting an application for use of funds to be approved by the AVC Board to ensure all your donations are used for their intended purpose.